Looks alone are not everything and docking a boat is not easy at all. 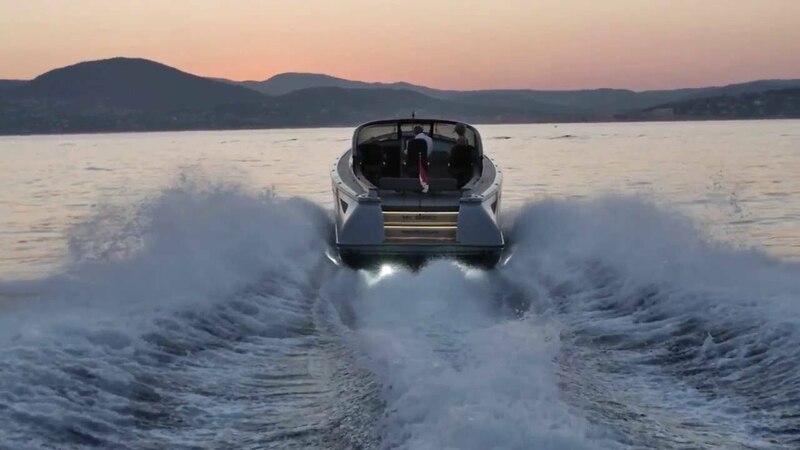 Together with the yard we spent a hard 12 months developing the world’s first IPS driven motor boat which you dock by gently moving just 2 fingers. The interior and cockpit have been given a contemporary ambiance with smooth, symmetrical lines that enhance the feeling of spaciousness and freedom. The central dashboard is a skipper’s delight, with a 15-inch LED monitor that is easy to read, even in bright sunshine, and an electric anchor that can be controlled from the steering position. The high-tech cockpit is predominantly finished in leather and matt-black anodised aluminium. The captain's chair and both seats have been placed on supports specifically designed for the Wajer 38, with adjustable gas pressure springs and dampers ensuring optimal comfort. The Wajer 38 is probably the single coolest tender that I have ever encountered in my 26 years in the industry. It is rugged with superb naval architecture, the guests love it, the owner loves it and the crew love it. The wow factor is off the scale - it is a head turner wherever we go. At 42 knots you can sit in the back, on the seating over the engine bay and have a normal conversation. The unique cockpit layout of the Wajer 38 ensures that the helmsman has perfect lines of sight all round without being isolated from family, friends or guests.